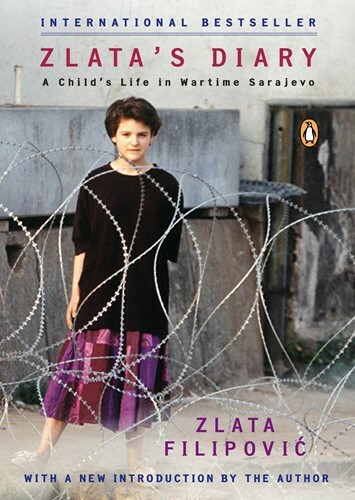 When Zlata's Diary was first published at the height of the Bosnian conflict, it became an international bestseller and was compared to The Diary of Anne Frank, both for the freshness of its voice and the grimness of the world it describes. It begins as the day-today record of the life of a typical eleven-year-old girl, preoccupied by piano lessons and birthday parties. But as war engulfs Sarajevo, Zlata Filipovic becomes a witness to food shortages and the deaths of friends and learns to wait out bombardments in a neighbor's cellar. Yet throughout she remains courageous and observant. The result is a book that has the power to move and instruct readers a world away.